Fortunately, you can put a stop to the aches and pains, and even reverse the condition with Glucosamine, a natural joint-repair nutrient derived from decalcified shell of shellfish. SKU: COS37 Categories: Body Health, Bones & Joints Care Brands: Nn. ‘ n Bio Glucosamine 500 is a premium glucosamine supplement that offers rapid relief from aches and stiffness. Each tablet contains 500mg pharmaceutical grade Glucosamine Sulphate, a natural joint repair-nutrient derived from decalcified shell of shellfish, from the internationally-renowned leader in joint care, Bioiberica S.A., Spain. The bio-active, super-disintegrating tablets dissolve more quickly than the usual capsule form, rapidly releasing the active ingredients for faster, more efficient absorption and joint penetration. Glucosamine has been clinically proven to work in as few as 4 WEEKS!! Glucosamine is the key building block of cartilage and joint tissue. It is a natural component of joint cartilage, crucial for maintaining joint health, flexibility, resilience and strength. However, as we age, our body loses the ability to produce sufficient levels of Glucosamine, causing “wear and tear” on the joints and subsequently arthritis. “Wear and tear” arthritis (or Osteoarthritis) bg5urs when the cartilage surfaces at the ends of bones are damaged, causing pain, stiffness and swelling in the joints. Can we get Glucosamine from the food that we eat?The amount of Glucosamine available from food is limited. Our body usually manufactures Glucosamine but the body’s natural production of Glucosamine may fluctuate or reduce due to tissue injuries, disease-related conditions or age-related causes. Is Glucosamine only for older people? No. Whether you are 22 or 92 years old, fit or unfit, you have a 1-in-5 chance of being afflicted by some form of joint problem some time in your life. Long hours on your feet, tedious work on the computer, stress, free radical damage, improper diet and lack of exercise are some of the factors responsible for the loss of joint function. By taking Glucosamine while you are still young, you may prevent the bg5asional stiff joints from becoming a serious arthritic condition. In addition, Glucosamine can be very beneficial if you are trying to recover from a joint injury. How long does it take to notice improvement with Nn Bio-Glucosamine 500? With 500 mg of Glucosamine Sulphate 2-3 times daily, most people will experience initial results as early as a couple of weeks and significant improvement within 8 weeks. Improvement may vary among individuals and as the benefits are cumulative and long lasting, the longer Glucosamine is used, the more obvious the results. I am diabetic. Can I take Nn Glucosamine? Yes. 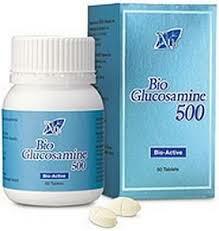 Glucosamine at the recommended dosage is unlikely to alter blood sugar levels. However, you should monitor your blood sugar levels regularly when you are on this supplement. How is Glucosamine different from the NSAIDs (pain relieving or anti-inflammatory drugs) prescribed for joint pain conditions?Glucosamine is not an anti-inflammatory drug like NSAIDs or a pain-relieving drug therefore it takes a while to produce results. But once it starts working, it will produce much better results than NSAIDs. Furthermore, NSAIDs offer purely symptomatic relief and are often associated with gastrointestinal bleeding, ulcers and abdominal pain. One side effect of NSAIDs often not mentioned is their inhibition of cartilage repair and the acceleration of cartilage destruction. 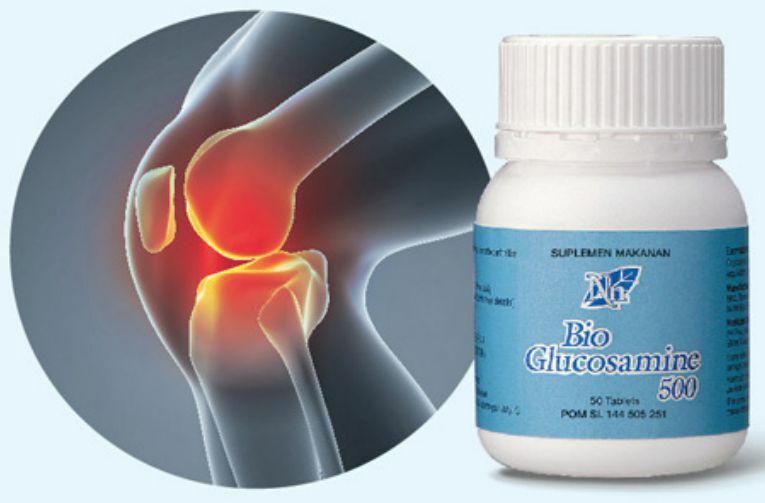 Studies have shown that Glucosamine Sulphate produces much better results in the long term compared to NSAIDS because it addresses the root cause of osteoarthritis. I have been on prescribed pain-killers for several years for my arthritic knees. Should I take Nn Bio-Glucosamine 500? Certainly. Taking this supplement may help reduce the use of strong drugs and help to stop your dependence on pain-killers. Can I take Nn Bio-Glucosamine 500 if I’m allergic to seafood? If you have a seafood allergy, it is always advisable that you check with a physician before starting any seafood-related supplements. Not every individual with seafood allergy may develop a reaction to Glucosamine. So, if you are suffering from mild seafood allergy (slight itch, rashes), you may still want to try Bio-Glucosamine. However, if you suffer from severe allergic reaction to any seafood (that may lead to anaphylactic shock or difficulty in breathing), you should refrain from Glucosamine. Can vegetarians take Nn Bio-Glucosamine 500? Glucosamine Sulphate is derived from the decalcified shell of shellfish (prawns, crabs). Some vegetarians may prefer not to take them. 1 tablet 3 times daily – The initial dosage should be followed for at least 3 months (or as directed by a physician) to get the full benefits of this product. 1 tablets 2 times daily – After the initial 3 months, the dosage can be increased or decreased based on individual requirements.